They are building a decentralized financial ecosystem in a digital and global scale to help almost all kinds of people adopt the blockchain technology for an unbanked world. It's main aim is to breach the gap between local fiat and digital currencies. It covers different problems such as education, employment, digital identity, healthcare and many other aspects of digital activities. Many people has who doesn't use banking system in some places on the earth such as some EMEA countries.Thanks to such this fintech app, these people can monitoring own money account and send money to another else without using banking. LALA has effectively struck different organizations crosswise over Asia, Africa, the Middle East and many more. Great hunt @tony-duke! This hunt has been verified and approved by the Steemhunt Moderation Team. Great job! Happy hunting. This just deserves the title of wow hunt of the day and also the greatest hunt. Banks are evil, occupy wall street, down with banks, jamie dimon in jail. La lala la la. I dont know what is ari paul doing as an investor. The founder probably has enough money and wanted ari paul for ico. Its name is very cool. :P Another name of blockchain would be an unbanked as this is not handled by anyone. People who knew about the Blockchain Ecosystem loved to adopt it in their businesses and sending a huge amount to someone in minutes. LALA is what serving unbanking to people who already in to know and work with it. They wanted to adopt it in their daily life. Cool Hunting! LALA World is indeed an amazing ecosystem which will bring revolutions in crypto world. 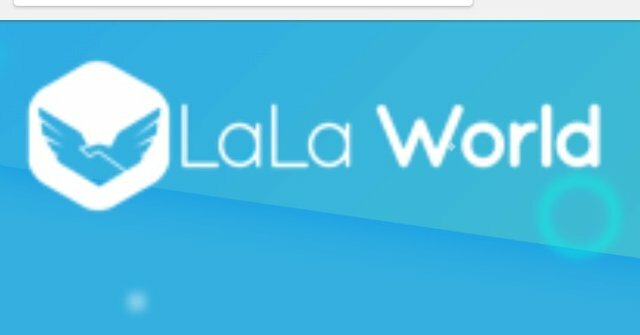 Ecosystem like LALA World will not only win the trust of people who are afraid of crypto but it will help to bring more and and more people on blockchain. The Blockchain is a platform that allows everyone to have their own virtual "wallet," and this is anonymous, of course safe. The problem until now is that the UI offered cannot be used by ordinary people, especially those who are not very computer savvy. Hopefully, LALA World is able to provide convenience to the wider community. Hopefully this financial ecosystem will help peoples in their digital activities. Technically I know that many peoples have problems in their currencies. I like this idea, I am sure it brings some positives among those peoples who want to solve issues. The old financial system is biased, unjust and outdated. It only favors a few. So new decentralised system(blockchain) is required, where only people have true power and freedom. breach the gap between local fiat and digital currencies. It covers different problems such as education, employment, digital identity, healthcare and many other aspects of digital activities. It looks like it is covering almost every daily aspect of personal or business life. With such wide coverage, it sounds so promising that many users will eventually adapt to it in no time. Nice one! It is true that the future version of market by large is digital and it is also true that a large section of the society is still unbanked and the reasons are many and some of them are due to monopolized and complex centralized payment system. With LALA World which aims at offering serivces for various use cases of the society such as Point of Sale, Lending and borrowing, bill payment through cryptocurrencies and enabling users to reach to the market and fulfill their requirement by digital currencies and it is really a platform which can help various segments of people such as micro-entrepreneurs, students etc and with blockchain technology it aims to solve various related to digital identity, community build up, health care etc. Excellent hunt and hence sharing it in twitter handle. Even in centralized system there is still a huge problem with getting to the unbanked, i guess LALA worlds knows the challenges and they are providing a solution to the challenges facing the unbanked terrian and more interesting they are taking the decentralized approach the blockchain which is great. I am hearing of Lala for the first time and their mission is a great one and breaching that gap between fiat and cryptocurrency will help enlighten people the more. you are right that lala World Financial ecosystem to support ,It is a very good thing that you do not have the bank where you have all the banks in Bangladesh, because the reason for supplying our blockchain technology is that losses are spreading across Bangladesh and through better and better process.thanks for hunt. Wow! What a great platform for maintaining our ecosystem. With this we can able to seek information about the environment. We can do anything about the environment and this will be very helpful for us and our environment.I will definitely use this platform. The intention is good, the future of the economy is in the blockchain and this project looks serious, but I would like your hunting to be a little more descriptive about it. Anyway, great hunt! LALA World is building an ecosystem, not just financial services for the unbanked and their families back home, health, education, employment, empowerment etc. providing one service alone will not help. This has to be a self sustainable network, an Ethos, an ecosystem to bring the suppressed out of poverty, all on one platform - LALA Wallet. We must recognize that not everyone handles blockchain technology. Some countries, people, still do not know what it means and how digital coins work. If we want crypto coins to be the future in coins, we must try to educate and make people aware of their use. So LALA World is a great idea. That there is a financial ecosystem that attacks some problems of digital activities seems revolutionary to me. For things to become known and expand in society, there must be advertising, education and use of the product. LALA World is the alternative. Good hunting. It's a great financial ecosystem that is really pushing blockchain technology to be more adaptable and applicable to many branches of today's society. It somehow gives a powerful support to advertise and show people that blockchain is a pro development technology and can be adapted to almost any part of our society. Awesome share! Very impressive as I must say and yeah decentralization is indeed the key to get things done. While will sure look into it. Cool hunt !! Lala world humm, this is another blockchain platform where people are engaged in Financial ecosystem that makes them to be independent financially. We are already in a season whereby digital currency will completely swipe out fiat and most banks will be useless. I like the post . thanks for sharing.